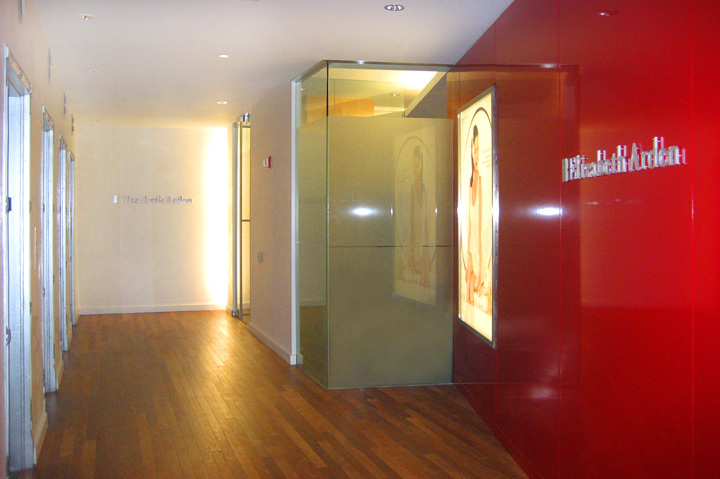 Amidst the grandeur fashion world, Elizabeth Arden's Corporate Headquarters is perched high upon the Park Avenue South corner at Union Square, the home of premier elegance and glamour. 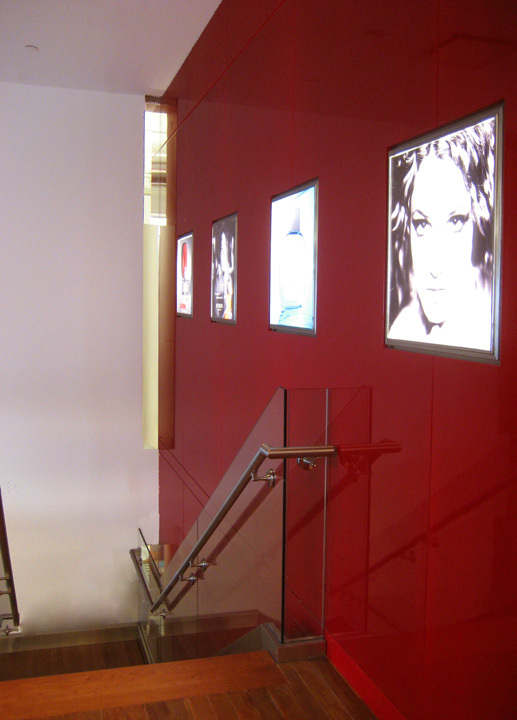 A custom featured red high-gloss 2 story atrium wall was created using a patented painting process with Elizabeth Arden's signature 'Red'. 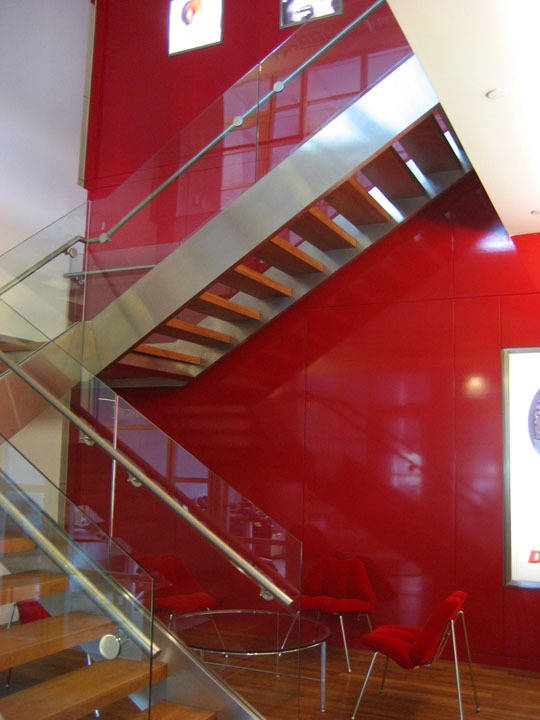 The process mimics the coating process used from Ferrari's in depth-layering auto painting effects. 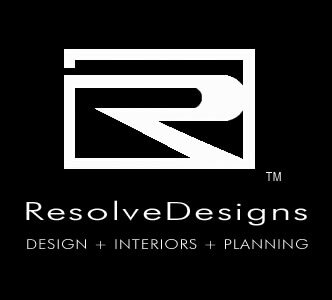 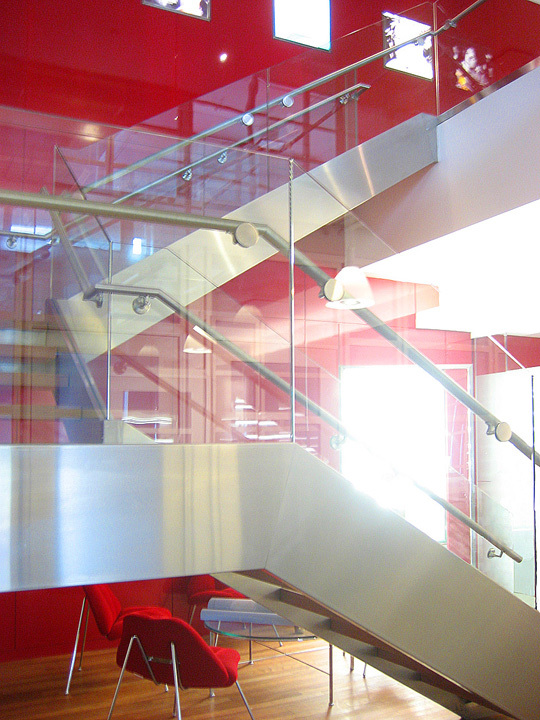 Detailed architectural elements are polished and understated. 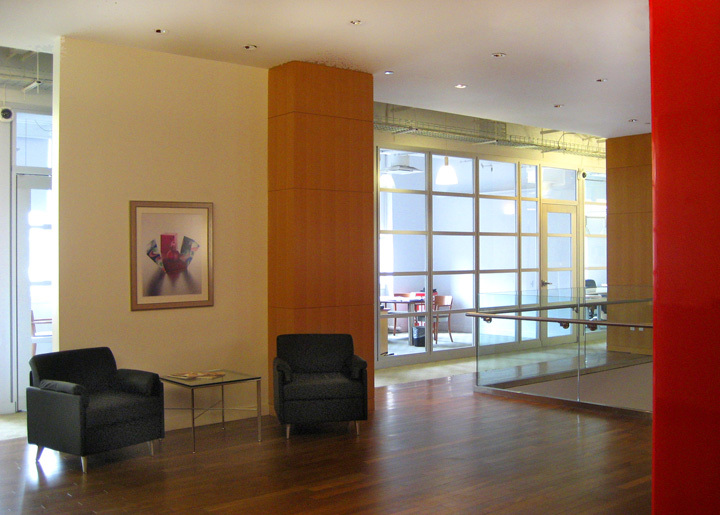 Silver-leafed elevator porticos greet patrons upon entry, while floor to ceiling tempered glass walls delineate room and area functions. 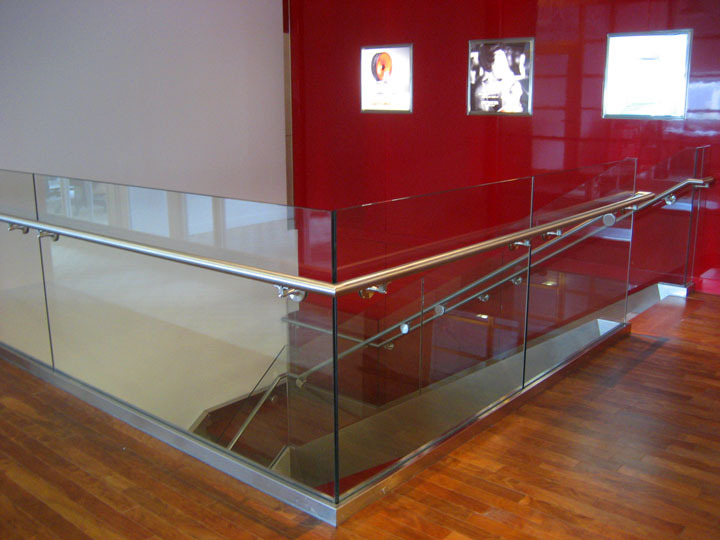 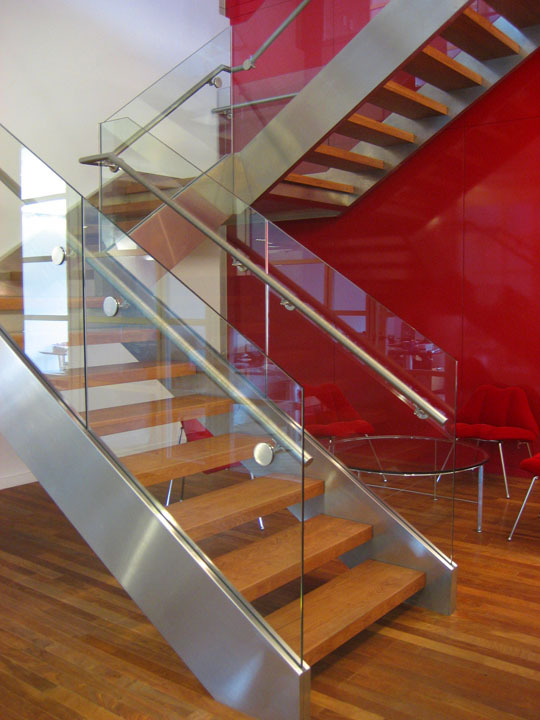 The stainless steel staircase independently floats with solid maple wood treads and floating glass handrails. 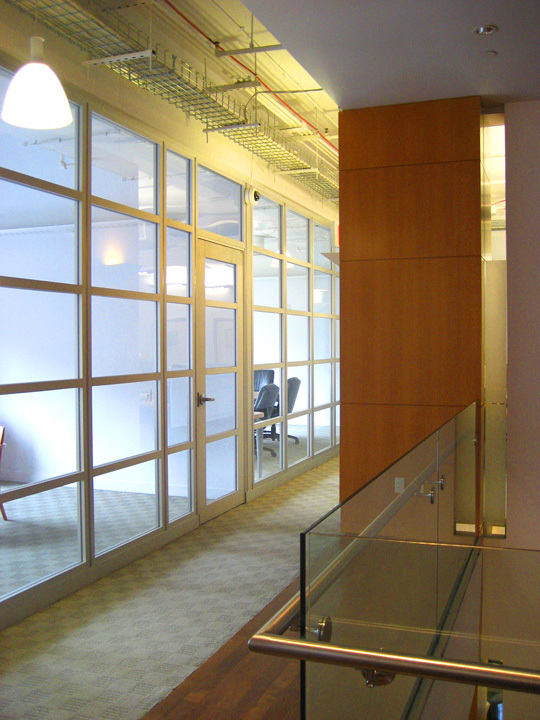 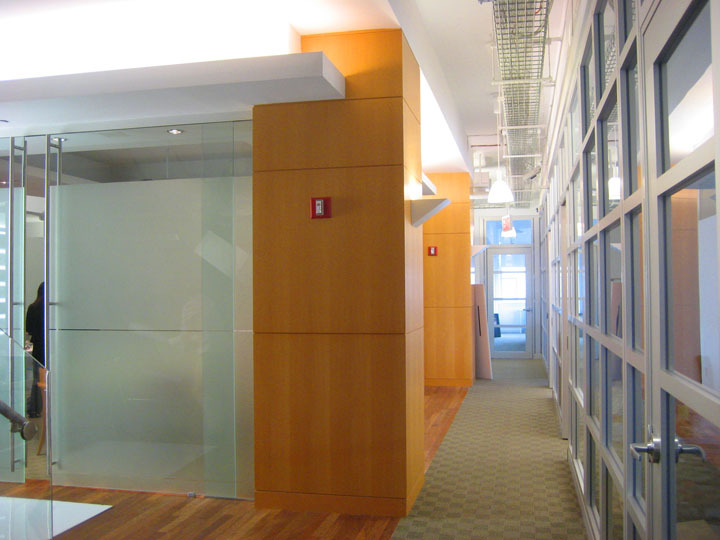 Executive offices were outfitted with integrated touch-screens. 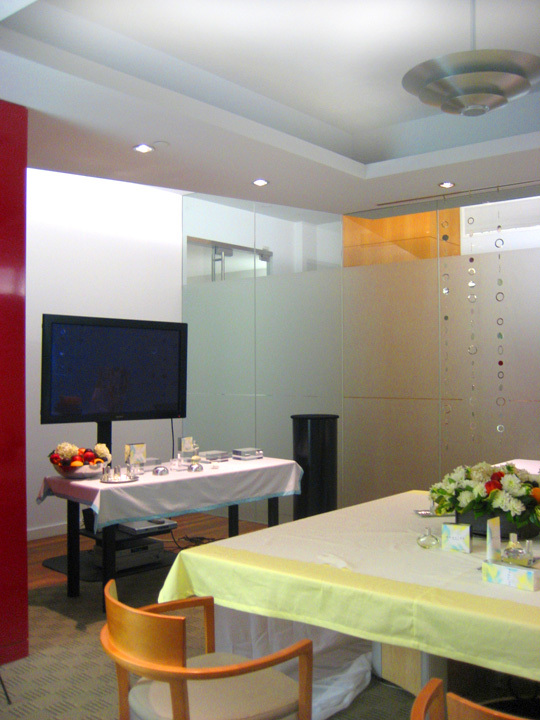 The conference rooms and private meeting rooms feature backlit and projected imagery of premier Elizabeth Arden product lines.